Pawn your IWC Watch! We offer Loans on IWC Watches! 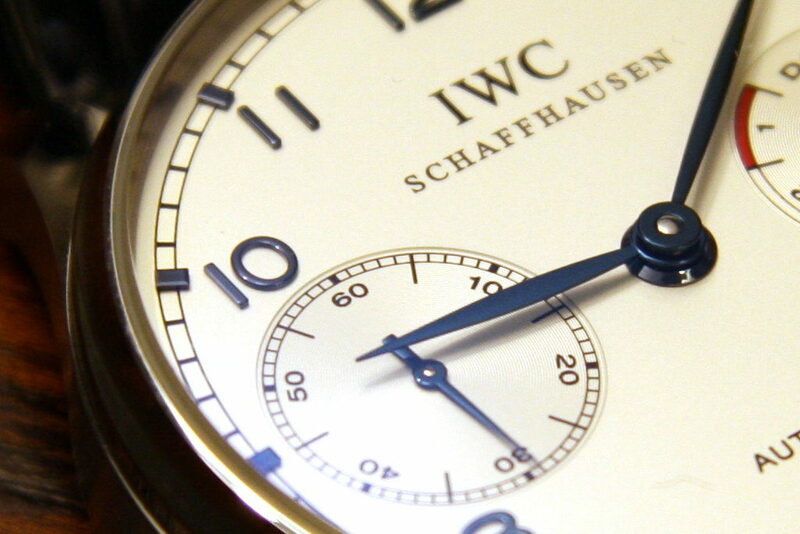 IWC is a Swiss luxury watch brand which has been in the business since 1868. Each IWC timepiece is manufactured by hand with meticulousness and care. With a combination of fine design and the latest technology, it’s no wonder that IWC products are so revered. If you’ve been wondering “how can I pawn my IWC watch in London?”, you’re in luck: New Bond Street Pawnbrokers are happy to help. We offer loans on IWC watches at our award winning shop in London and you could even receive funds on the same day. How much is my IWC watch worth? While some timepieces depreciate as soon as they leave the store, IWC luxury watches tend to retain their value. Limited edition pieces, such as the IWC Siderale Scafusia – regarded as one of the most complex watches of all time – can command up to £585,000 at auction. Other notable watches from the company include the classic IWC Grande Complication (£90,000), the IWC Tourbillon Destriero (£94,000) and the IWC Portuguese Tourbillon Squelette (£149,000). The market value of an IWC luxury watch depends largely on its aesthetic and mechanical condition. It’s easier to secure good loans on IWC watches if they are in impeccable condition, although there are other factors which come into play, too. If you’re thinking “what should I bring to a broker to pawn my IWC watch?”, you should be aware that supporting documentation could increase its value. Proof of purchase documents, certificates of authenticity and any documents which highlight repairs undertaken should all stand you in good stead. The law of entropy dictates that, over time, certain models become damaged or lost. This increases their scarcity, and also their value. Some IWC watches have history attached to them – for example, the IWC WWW wristwatch was manufactured for use by the British Army in the second world war, and these models can fetch hundreds of thousands, particularly if they were worn during battle. IWC timepieces are collector’s items which can be revered for an entire lifetime. However, sometimes the need arises to gain access to funds – to finance another investment, for example. If you need a cash loan, it’s easy to temporarily pawn your IWC luxury watch. At New Bond Street Pawnbrokers, your watch will be kept safe and secure, and is yours to pick up once your final loan repayment has been settled.